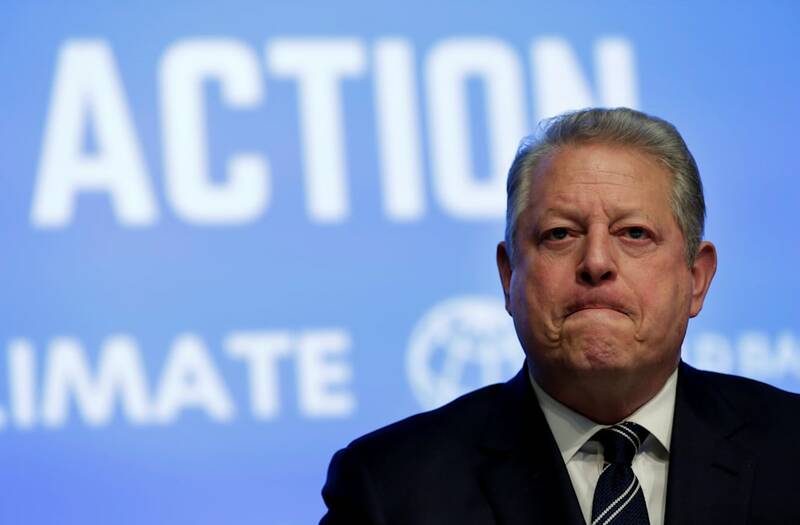 Nearly 17 years later, Al Gore still seems to believe he beat George W. Bush in Florida and, therefore, the general presidential election, in 2000. The former vice president alluded to the undeserved nature of his defeat Friday while promoting his environmental documentary "An Inconvenient Sequel: Truth to Power" on the HBO show "Real Time with Bill Maher." "So when the sea levels rise, obviously we could lose Venice. We could lose Florida. And who would know better about losing Florida?" Maher said in response to Gore's comments about the threats of climate change. The audience had a mixed reaction, but Gore chuckled at the joke and said, "Actually, I think I carried Florida. But that's another ... we won't go there." The outcome of the 2000 election was highly contested and drawn out, with Gore conceding the White House to Bush in mid-December after the Supreme Court ruled against continuing with a vote recount in Florida. Subsequent studies have shown that if a recount were done focusing on undervotes -- ballots that did not register a vote in the presidential race -- Bush would have likely won the state. Further studies have suggested that a recount would have handed the state to Florida if it had included both undervotes and overvotes, which are ballots that include more than one vote for president and are therefore disqualified. Those overvotes included many ballots that appeared to have Reform Party candidate Pat Buchanan and Gore, of which there were an estimated 20,000. This discrepancy was largely attributed to the "butterfly" design of the ballot, which had Gore's name on the left side of the page, Buchanan's name on the right and punch card holes in the middle. Anecdotal data suggests many of these ballots were cast by confused voters who had intended to vote for Gore.